We are pleased to announce launching our Mobile site & application based on our main site matching concept in today's smartphones. From now, the Mobile site will be the default on smartphones. ✔ View all community trips and your own. ✔ Videos uploaded on YouTube. ✔ Display trip map including daily trips. 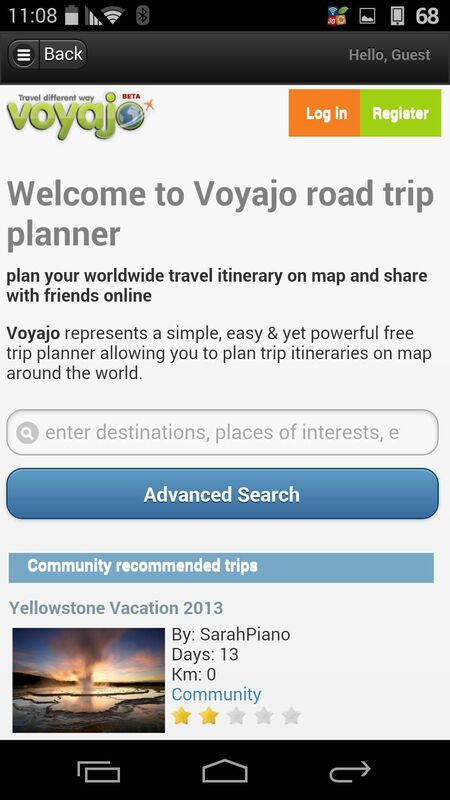 ✔ Navigate from your location to each of trip destinations or places of interest. ✔ Purchases of travel products such as flights, hotels, vehicles and packages. ✔ Search or Advanced Search for trips by destinations or places of interest. ✔ Display your location and places of interest nearby including navigation. ✔ Sending trip to your friend(s) using various applications on your device (SMS, Mail, WhatsApp etc. ).